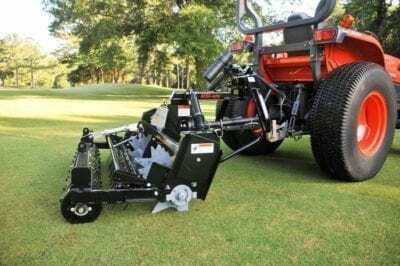 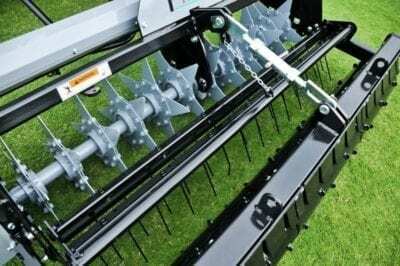 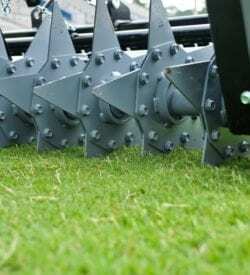 The patented AERA-Slicer is used on all types of turf for slicing and compaction relief with minimal surface disruption. 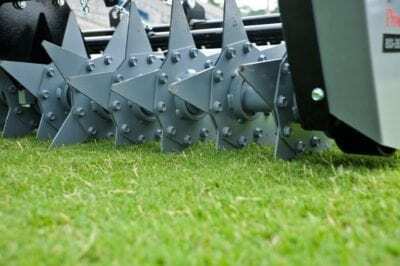 It is used to promote new growth, and reduce water run off in hot summer months thereby lessening heat stress and compaction, and it fits easily into the AERA-Vator Frame. 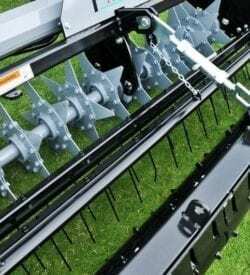 The blades are powered in an elliptical looping motion to help blade penetration and promote a faster ground speed. 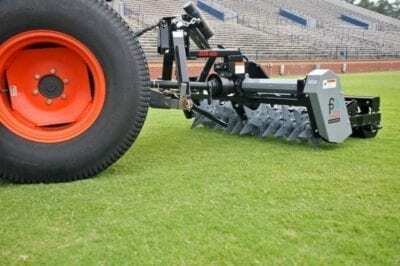 Used on all sports turf applications. 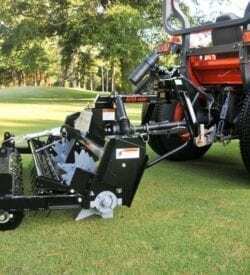 Cuts stolons and rhizomes to help strengthen turf and promote growth. 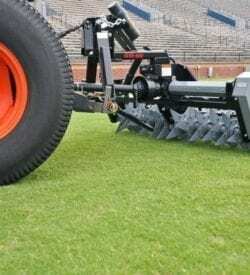 Less disruption to surfaces translate to minimal turf downtime. 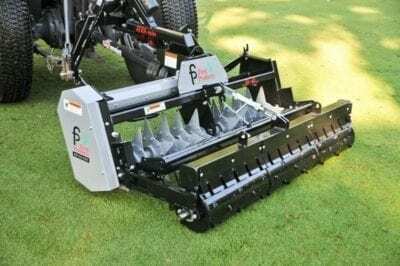 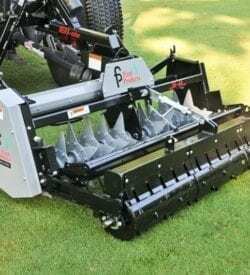 Used with or without a seed box for fast, no mess aerification and stress release in hot summer months.